Login to your account safely and securely. Our software uses the best security parameters to ensure that your data is viewable only by you or accounts that you create. You control who uses SeedMatrix. 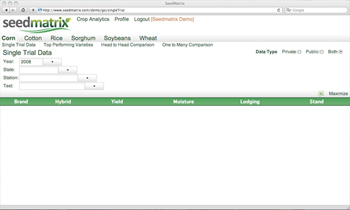 Whether Corn, Cotton, Soybeans, Rice, Wheat or Sorghum, SeedMatrix has you configured. Each crop is different and requires special reporting and comparisons. 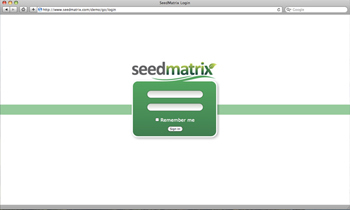 With SeedMatrix, they are built in and ready to go. 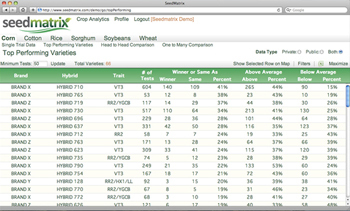 All reports generated with SeedMatrix can be exported for easy view in Excel format. Certain reports can also be shown on a map based on a geographic region. 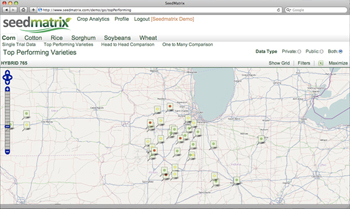 Either way, you will see your test plot data in ways you never thought possible. Prepare to be amazed at the power of SeedMatrix!